DAS Air Drying Modelling Clay will help you create a huge range of clay model designs easily. 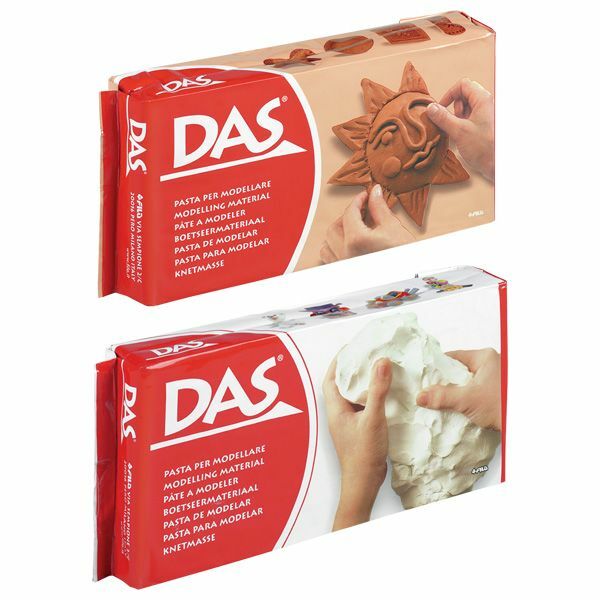 DAS Air Drying Modelling Clay will help you create a huge range of clay model designs easily. It is an easy modelling material to work with, moulding easily and drying to a firm and strong finish. There is no baking required, simply design your model and then allow for 24 hours per centimetre to dry. This modelling clay is easy to smooth and, once dried, can be decorated further with poster paints, acrylics and varnish to add bold colours and a professional finish to your projects.